Jaw ache is a punishment that should be dished out to the bad people not the unlucky and nice! Since having my braces fitted and my teeth moving my jaw ache has got worse, I'm willing to put up with it as it's all for the greater good but it does get tedious at times! I have now got my jaw ache relief kit down to T and more often than not it does help to soothe my poor little jaws. 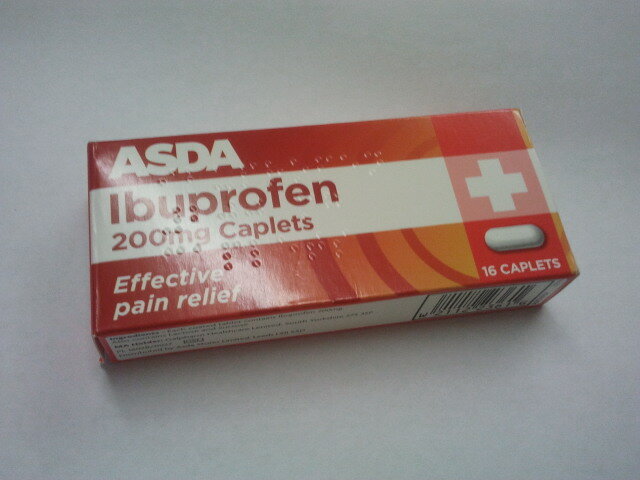 So my drug of choice for jaw ache relief is Ibuprofen, a lovely anti-inflammatory that I can always rely on. If it gets really bad, then I take Syndol (paracetamol and codeine) but it makes me really tired and a bit nauseous so I try not to take it that often and you can get addicted to codeine. 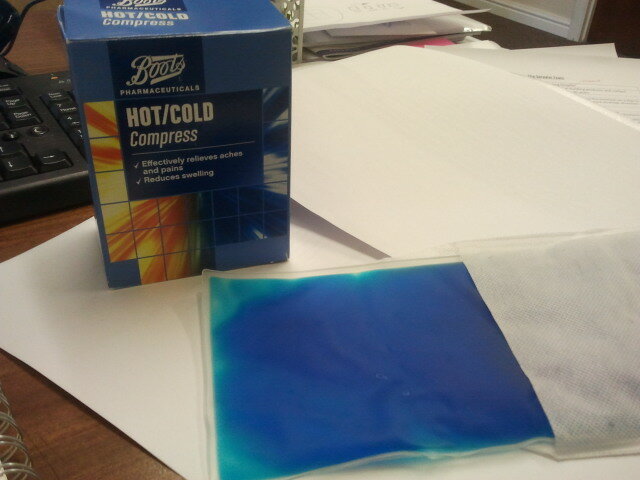 My amazing heat pad is my best friend and number 1 combatter against jaw ache! It's gel based so I just pop it in some hot water and let it heat up for a while then put it in it's sleeve and hold against my face. This thing works wonders, really helps to relax all my muscles, its so soothing and lovely. It can also be frozen, so when the time comes for post surgery ice packs I am covered! I have two of these, I keep one at home and one at work, I used to get caught out and end up in pain at work so now it's a normal occurrence for my colleagues to see me with a blue thing pressed against my face. I'm thinking of buying a stretchy hairband type thing so I can use it to strap the heat pack to my face and then I can go handsfree with my heated relief at work and be able to type with two hands. I currently have jaw ache so I'm about to go and heat up my wonder pad and get some relief! Also found this good picture of my profile last night whilst going through my ex's camera. Doing the handover of stuff tomorrow so I thought I'd best get the pictures I want to keep before I give him back his camera! This is me (with hair extensions in) and my friend on a night out recently, I think this picture really shows just how far forward my lower jaw and lip juts out and actually my top jaw looks really small in comparison. Also naughty me for drinking a vodka and diet coke without a straw! Sorry teeth! Only 5 weeks to go till my next appointment, roll on April! Ibuprofen! Yes please. If you were like me and have always had jaw ache that comes with the TMJD then you clearly know how sucky it is. But, I don't know about you, but I feel some days with braces - often towards the 'end of one adjustments', and getting close to the next, I feel I clench my teeth a lot more, which of course increases the jaw discomfort, to the point where I have to wear glasses to stop my eyes from aching! You could be describing me here Sophie! Right down to the clenching a few weeks after adjustments (I think I start doing it when the adjustment pain wears off). Now, if I have a headache for more than a couple of days I use Tiger Balm White. It won't get rid of a bad headache but it will soothe a mild one. I found the adjustments to be the worse. Even more painful then my SARPE surgery. At least with that I was numb so very very little pain. A day after getting an adjustment were the worse. I could hardly eat and the headaches were a killer. I didn't get any relief from ibuprofen and at night I'd had have trouble sleeping. In that case I would pop half a percocet that I had left over from my first surgery. Probably not the best drug but it let me sleep at night with no pain.